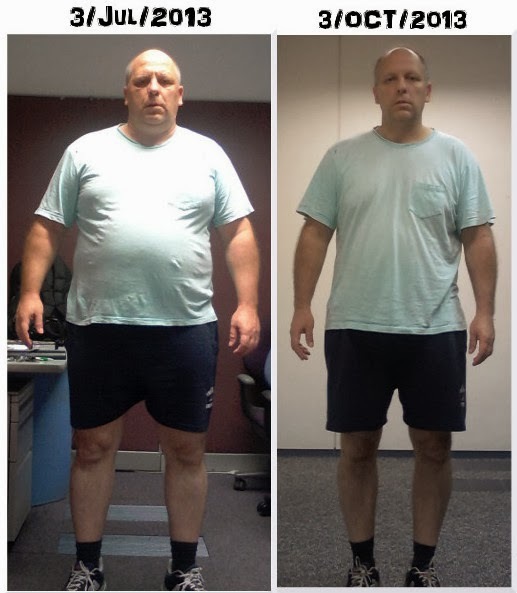 I started my diet 3 months ago - and I think you can already notice a slight difference. Back then I measured 139.6 Kg - which means BMI=42.6 ==> Morbid Obesity. Now I weight 108.4 Kg - which means BMI=33.1 ==> Obesity. Wherever I go people who used to know the "old Aviel" never stop complimenting me. My special lady was kind enough and very quick to help me arrange the following picture using her GIMP skills.